Louis Sylvester is a board and card game enthusiast. He is an author and professor at Lewis-Clark State College. Tabletop games are a great way for friends and family to come together over the holidays. Most people are familiar with the old standby games such as Scrabble, Monopoly or Risk. However, over the past 20-plus years, there has been an explosion of new and interesting board and card games that improve the classics in every way. Over the years, I have devoted an incredible amount of time and money to the hobby of gaming. In fact, my wife and I own a growing collection of more than 1,000 games. As such, I am delighted to share games that would enhance your holiday celebrations. Not every family member wants to read a rulebook or listen to a lengthy set of rules. Sometimes you want to sit down with your friends, spend a minute or two learning the basics, and start playing a game that will only last 15 or 20 minutes. 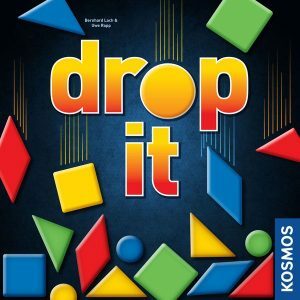 I suggest a brand new release, Drop It (two to four players, age 8 and older). Each player gets a set of plastic circles, triangles and squares, then take turns dropping the shapes into the clear, vertical board. Points are scored based on how a piece lands. The pieces bounce around, so the trick is to carefully drop them for the most points. If a dexterity game like Drop It seems too simple for your family, then consider a racing game like Downforce (two to six players, age 10 and older), a team word game like Codenames (now with a Disney version or a Marvel version) (two to eight players, age 8 and older), a cooperation challenge like Magic Maze (one to four players, age 8 and older), or a social deduction game like One Night Ultimate Werewolf (three to 10 players, age 8 and older). I love card games that are inexpensive and easy to learn. 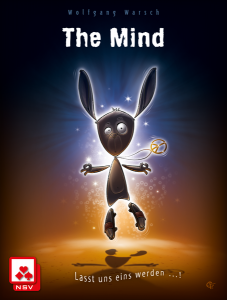 One of the most interesting card games to be released in 2018 is The Mind (two to four players, age 8 and older). Players are dealt a hand from a deck numbered 1 to 100. Then, without speaking or any other form of communication, players must lay down their cards in ascending order. If your telepathy is strong and everyone empties their hand without any mistakes, then you deal out more cards for another hand. The rules allow a mistake or two, but in the end the only way to win is to be in sync with your friends. Perhaps you are looking for a more strategic card game such as Grifters (three to four players, age 14 and older), a sci-fi themed game of hand manipulation. A drafting game such as Sushi Go Party! 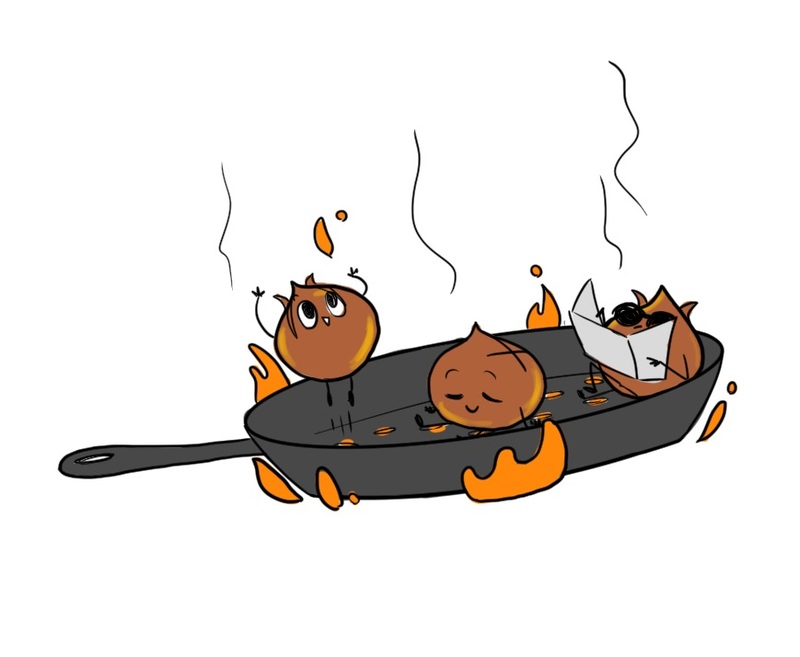 (two to eight players, age 8 and older) allows players to try to form the most valuable and tasty tableau. The simple, yet deep, Batman: Love Letter (three to four players, age 10 and older) has you draw a card and then play a card, hoping to end the round holding the best card at the table. There are dozens of great games that fit this category. 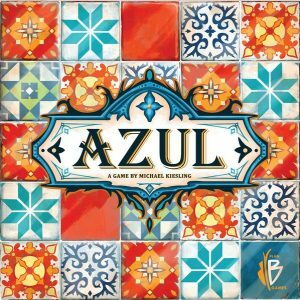 One of the best is an abstract tile-placement game, Azul (two to four players, age 8 and older), the winner of the German Spiel des Jahres (Game of the Year) award. In this game, players take turns drafting tiles from the center of the table and setting them on their player boards. At the end of each round, these tiles will be used to decorate the player’s palace. Points are scored based on creating specific patterns and sets with the selected tiles. Here are a few more to investigate: the dice-placement game Sagrada (one to four players, age 14 and older), the racetrack gambling game Camel Up (two to eight players, age 8 and older), the “I divide, you choose” pizza game New York Slice (two to six players, age 8 and older), the railway building game Ticket to Ride (two to five players, age 8 and older), and the gem buying set collection game Splendor (two to four players, age 10 and older). Whenever I want to introduce people to new, fun games in my collection, these are the first games I pull off the shelf. 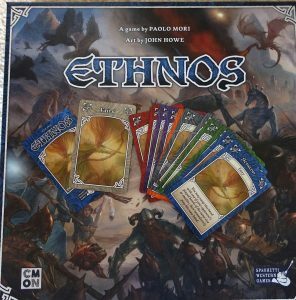 In 2017, a card-driven area-control game called Ethnos (two to four players, age 14 and older) was my favorite game of the year. This fantasy-themed game has players use the support of tribes of creatures to help them gain control of the land. Whoever best adapts to use their tribes to control the land will earn the most glory and win. If you are interested a fresh experience with each play, this game is perfect for you. There are other excellent games that will engage your more serious gaming group. Pandemic (two to four players, age 8 and older) is a cooperative game where players work together to stop a spread of disease across the world. Additionally, in Terraforming Mars (one to five players, age 12 and older) you play as a future corporation, gaining victory points for working most efficiently to make Mars livable for humanity. A new style of gaming — called legacy — emerged recently. With each play, players place stickers, tear up cards or otherwise permanently alter their game. Most legacy games allow between 12 and 20 evolving games before reaching the end of the campaign. 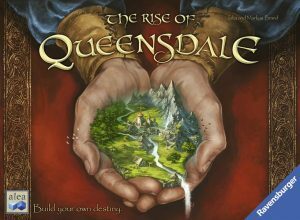 My current favorite is The Rise of Queensdale (three to four players, age 12 and older), a system that tells a new story with each play. My gaming group has been thrilled with the way each game introduces new changes to the system. Other excellent legacy games include Pandemic Legacy (two to four players, age 13 and older) (both seasons one and two) and Charterstone (three to six players, age 14 and older). I have high hopes for Betrayal Legacy (three to five, age 12 and older), but have not yet gotten my copy. These games tend to cost quite a lot (around $80), but they are well worth the price if you play through all the scenarios. All of these games can be purchased online and for a reasonable price. If you order games through an online game store such as coolstuffinc.com, the prices are even better than on Amazon. However, you will have to pay shipping unless you order more than $100 worth of product (something to consider when buying for the holidays), and your order will require two to three weeks to arrive. In Moscow, there is a wonderful game store called Safari Pearl that has an incredible selection of board and card games at a reasonable price and staff that is happy to help you find the game that is perfect for your needs. Happy holiday season and happy gaming. Sylvester is an associate professor at Lewis-Clark State College. He is the co-author of “Legends of the Lost Causes,” a rip-roaring adventure set in the fantasy West. He and his wife enjoy gaming each week with their gaming groups. He can be reached at lnsylvester@lcsc.edu.